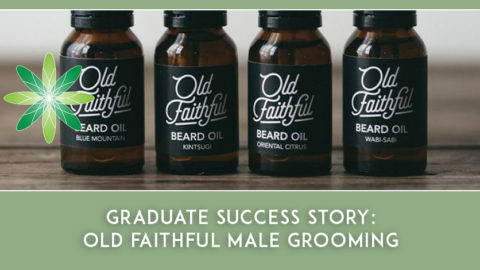 We love speaking to our students and graduates – they are such inspirational entrepreneurs! 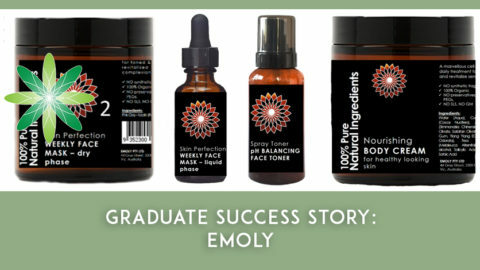 We love watching them launch their brands and create a global platform for green and organic beauty. 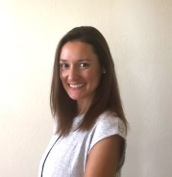 Today we have the privilege of speaking to Camila Olivares of Mia Erba in Florida, USA. Camila also attended our 2016 Formula Botanica Conference in November, where she pitched her products to all of us! Hi Camila, please tell us a bit about you and your background? I was born in Cordoba, Argentina. My family moved to Miami, Florida when I was 4 years old. I was raised in Miami and attended the University of Miami. My background is in lots of travel, marketing and sales. My inspiration came from various places. It took 3 years to develop because everything was a learning curve, so as I learned I gained new inspiration which eventually became Mia Erba. 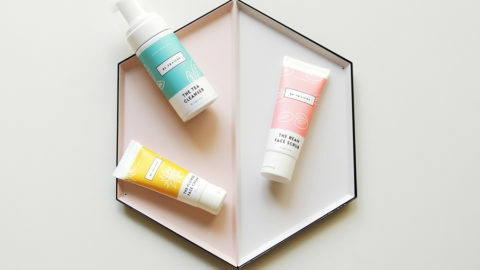 For example, the idea to begin my own line stemmed from wanting to live a healthy lifestyle overall, it started with my diet and exercise and inevitably made its way to my skincare regimen. I was inspired at this point to start looking for natural ingredients on labels, I began doing research on botanical ingredients that suited my needs. At the time, I found it difficult to find a great, truly natural line that had everything I was looking for, this triggered interest in doing something about it. My sister has an organic farm in Miami, and visiting her was always such a pleasure. Its a place to be submerged by nature, it brings on a very peaceful and pure sense of being. Her passion for the plants really resonated with me, she taught me a lot about their therapeutic strength. This was another moment of inspiration. I asked her to help me start experimenting with them, so we took to my kitchen and played with formulas for hours on end. At this point I was convinced this is where I needed to be, from there on out it was a roller coaster of experiences until I found just the right direction for Mia Erba. Today I feel like it is a perfect representation of me, what I believe in, and I feel like I am portraying Mia Erba to the world as I would to my friends and family, thats the best part about it. How did you come up with the name Mia Erba and what does it mean? 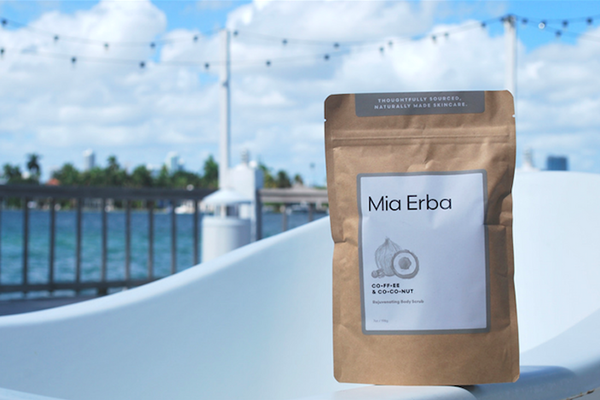 Mia Erba represents the pride of where we come from, Miami, and the strength of what we believe in, herbs, botanicals and all plant-based ingredients! 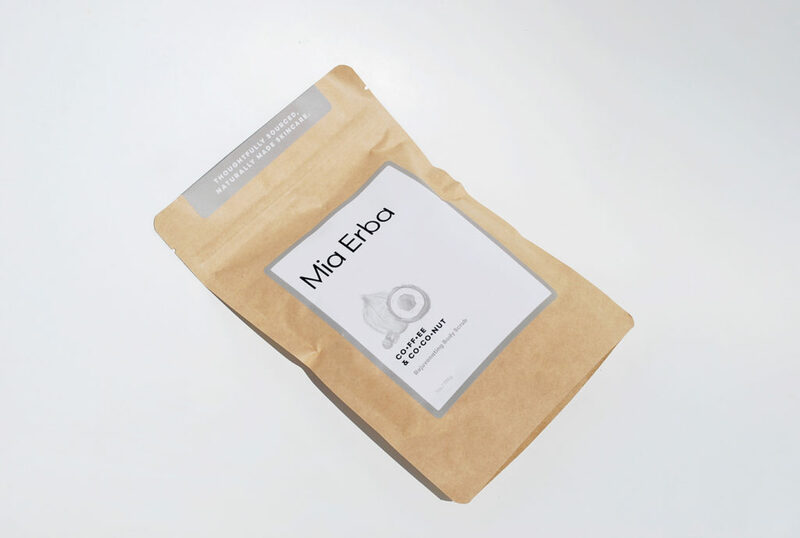 What type of skincare products do you sell at Mia Erba? I have launched my line with one beautiful body scrub. A second body scrub is on the way and I would like to follow with a creamy lightweight body butter. During my experimenting, I made masks, facial oils, toners, lotions, etc. Making lotions and creams is my favorite because of how much they change from start to finish, it’s the most entertaining product to make, and also the trickiest, but I love them! 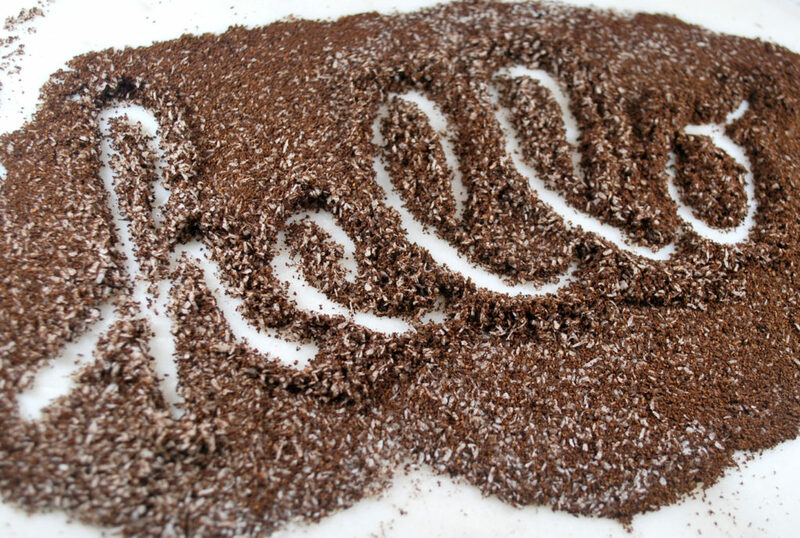 My Coffee & Coconut Rejuvenating Body Scrub went through 15+ phases of experimenting, I feel really good about the results. The products I sell will all be plant-based, truly natural ingredients. I take a lot of pride in sourcing direct from farms around the globe, this way I can feel confidant about my products and their final results, because ultimately, ingredients are the driving force behind truly effective products. 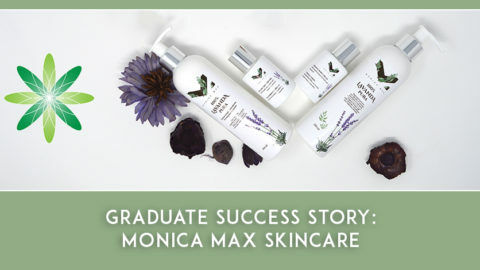 I have completed the Diploma in Organic Skincare Formulation and I am half way through the Advanced Diploma in Organic Cosmetic Science. The knowledge I have gained from these courses has been used on a daily basis since I began them. Finding Formula Botanica came at the perfect time. It put together everything I was trying to find and learn on my own in one organized and fun place. It taught me about processes, regulations and ingredients I didn’t know about. 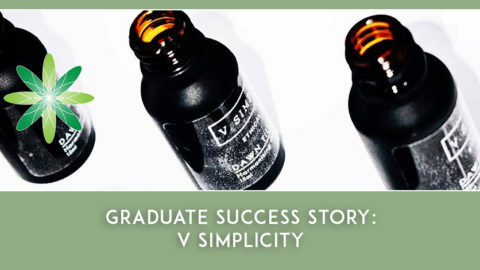 It truly helped catalyze the launch of my business in every aspect, from formulating to labeling and packaging and even marketing and branding. My goal is to complete all of their courses, that will come with time. The thing I enjoy most about running my own business is having this project that I created from the ground up and helping it grow. Every day is a new adventure for me, this keeps me on my toes. I enjoy the every day challenges and pleasures of meeting new people, coming up with new marketing ideas, researching and continuing to learn about ingredients for future products, making people happy and helping them achieve healthy and happy skin. I believe the hardest part could be finding your direction. Deciding if you want go fully natural, where you will source your ingredients, what your message will be, who you want to target, what your branding will look like, picking colors that represent your brand, deciding what kind of stores you want to be in, etc. All of these areas are connected and need to be aligned in order for it to make sense and flow together. There are two things to keep in mind. Be true to yourself and never give up. Staying true to yourself in terms of creating a line that represents what you believe in and who you are, this is the best way to sell it to others because all you need to do is sell yourself in a sense. Pay attention to your gut feeling (third eye), it is usually correct. You will get tons of rejections and people who will simply ignore you, lets face it, we are trying to enter an industry that is quite saturated, but keep believing in yourself and your products and don’t ever give up. Stay positive. Also, I would like to throw in one more piece of advice. Set yourself up for success. 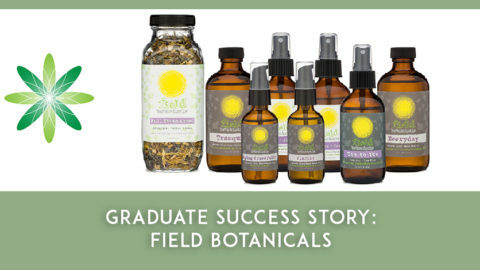 Formula Botanica does a great job of providing all of the tools we need to set up a company that is prepared to go big. Follow each step of setting things up so that when you launch you look like a well established and professional company. Have a good website, start social media before you launch so you create hype, if you are planning on outsourcing your manufacturing after you have created your formulas, find the manufacturer before you launch, make sure you have all of your ducks in a row before launching.